Managing company «K2» has carried out independent marketing researches that allow to define specificity and the basic directions of business, and also to define location expediency of the company in BC «Baltica». Baltic Customs house. This is quite important for operative business dealing for customs brokers. 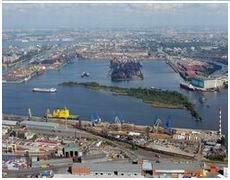 Administration of Seaport and Gapsalsky gate of Seaport – BC «Baltica» is a find for the companies, whose business is connected to sea transportations. Hotel «Annushka» - what can be more important, than hospitality! BC «Baltica» has convenient access to the basic highways of city: 15 kms up to airport «Pulkovo», to meet the important client, to offer comfortable conditions, to relieve him of precious time expenditure, and also to show one of the most beautiful cities of Europe. 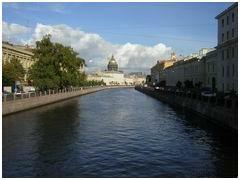 It will be easily possible for you: up to the Moscow prospectus - only 3,3 kms, 4 kms up to Isakievskaya square. There is a fine view from BC windows on Seaport and aquatorium of Finland gulf.